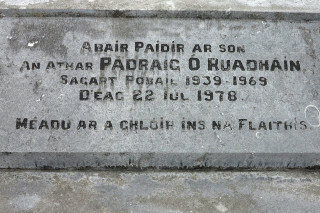 Final resting place and Gravestone of Fr Patrick Ruane in the Church Grounds at Knock Spiddal. Fr Patrick Ruane was born in Carrowmore and his parents were Patrick and Anne Ruane. His brother, Thomas, remained on the farm at home all his life and married Kathleen Costello, Killascobe. Fr Ruane was a nephew of Mr Patrick Finnerty who was a well known and respected merchant in Moylough. 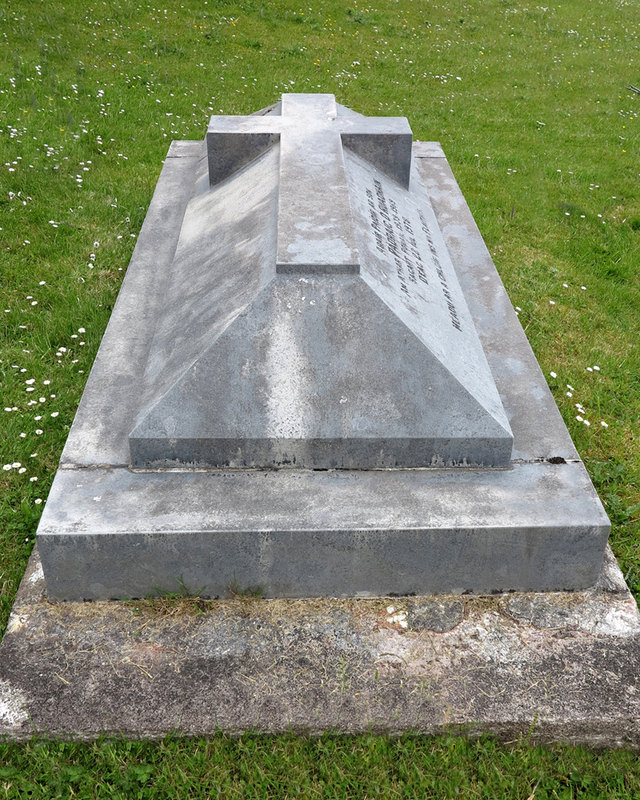 Mr Finnerty passed away in April 1945. Mr Patrick Finnerty was a brother of Thomas Finnerty, Killaclogher and Mrs. Lena Costello, Skehana. Fr. Tommie Ruane (Ordained in 1961) and Fr. Mattie Ruane (Ordained in 1963) from Garbally, were nephews of Fr. Patrick Ruane. His brother, Laurence, lived in Airdskeabeg, Ballyglunnin, and passed away in November 1961. Another brother, Martin, from Garbally (Father of Fr Tommie and Fr Mattie Ruane passed away on April 19th. 1969. He, himself, passed away in the Bon Secours Hospital in Tuam on July 27th. 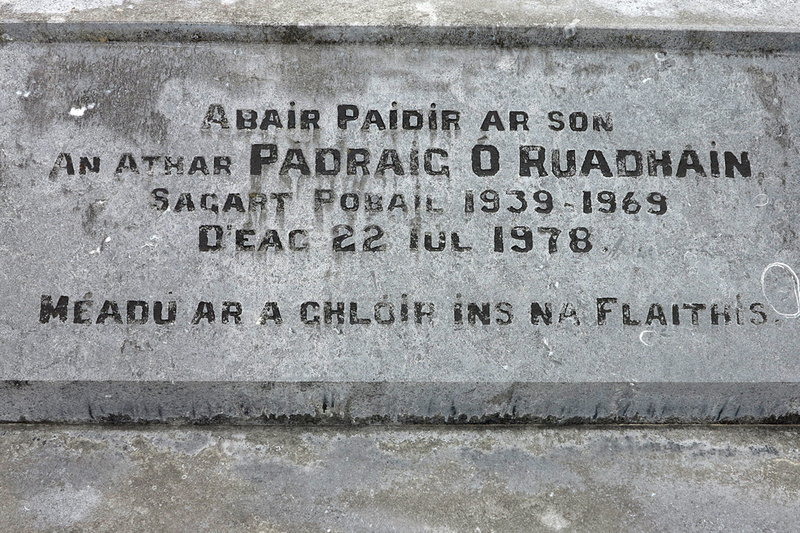 1979 and is laid to rest in the Church Grounds at Knock, Spiddal. He used to be our Priest when I lived in Kilroe East. Now living in New York. Thanks for the memory.